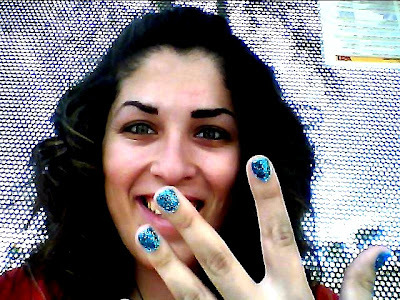 How to glitter your fingernails! It’s easy! 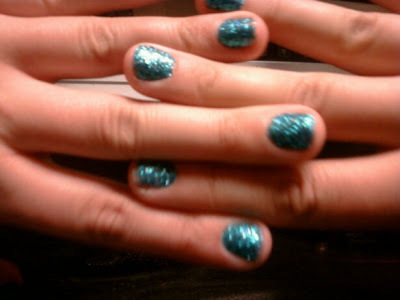 My friend Amy glittered her nails last week and I tried it last night! Amy even wrote up directions on how to do it! Here they are! So, I woke up early to get ready for school on Monday; did my morning routine and right before I left I found out my class was cancelled…. That meant I had 5 hours to spare until my next one started, so my sister and I thought we would go to Wal-Mart and get a few things. While we were there we came across the make-up aisle, and we always, always, always stop by the nail polish to look at all the pretty colors. Since I didn’t feel like buying any, I thought, why not make my own? I love trying new things, and I’ve got nothing to lose, I knew that either way it was going to look cute! 1. First, put a clear coat on your nails, then dab the glitter over them while they’re still wet. 2. Let the glitter dry over the clear coat, and once it’s fully dry put another clear coat over the glitter just to make sure it stays on. 3. Once you’ve finished both hands, and your nails are COMPLETELY dry, then go wash your hands a couple of times, just to get off the excess glitter on your hands……. Because there will be lots! 4. Wah-la! Beautifully glittered nails! They’ve been done for only two days and I keep getting compliments on them! If you don’t want to try a bright shade of blue like I did, try something neutral like silver? I only did blue because it’s my favorite color. It definitely suits my personality well. 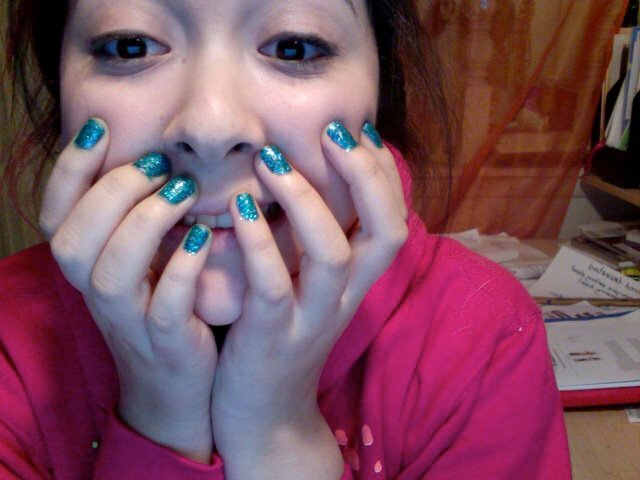 Glitter nail polish goes with everything and looks SUPER cute! It adds pizazz to any outfit! And come on now, who doesn’t love glitter! ?